Is it possible to select a reference track in the pianoroll in NS2 ? 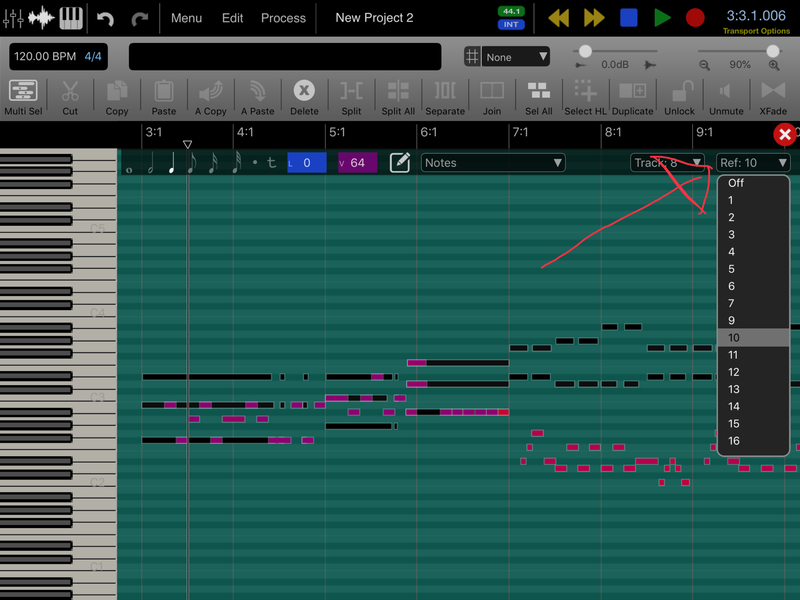 if you mean to see in background "ghost" notes, greyed out, from other track, then this would be extremely handy !! If this is considered for some day, then adding the ability to ghost/reference an audio track in the background would be very useful as well. Auria Pro doesn’t offer that. +1 from me A key workflow element for me is taking a pattern (part) and creating a variant of it. Interesting. That would be very helpful for me! Yeah this would be very helpful indeed.